Plunge into great comfort of this sofa set, featuring brown and light brown leather covering, creative arm design with chrome metal insert, and soft seating area. 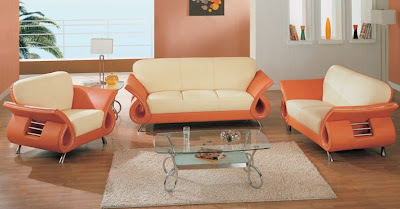 Mirage living room furniture set in two tone leather finish featuring brown and light brown nuances. 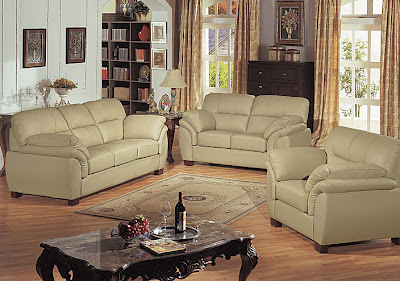 Pillow top arms and overstuffed cushions for more comfortable feel. Give your room a spark of color with this magnificent furniture. Furnish your living environment in contemporary euro-style with this sofa set, featuring all hardwood frames, genuine top grain oyster leather match, attached seats and pillow top arms. 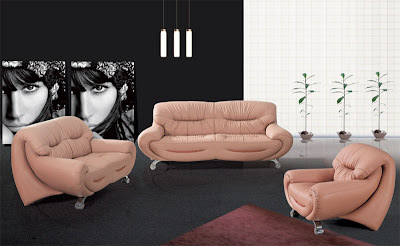 Arrange your living environment with the beauty of contemporary style of this sofa set, featuring light and medium brown leather finish, elegantly shaped stitched back design, and metal feet. 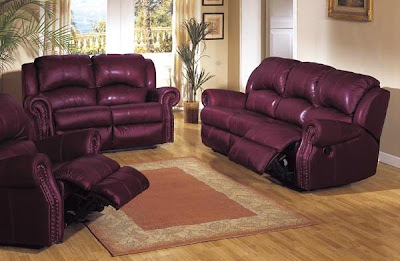 Create an exquisite look and atmosphere in your living room with this sofa group, featuring burgundy leather match covering, nail head accents and recliners for extra comfort.